Upon graduation, he traveled to the Middle East and West Africa to sit at the feet of a number of notable scholars who further acquainted him with the major Islamic sciences of Qurâ€™anic Recitation, Prophetic Narrations, Classical Arabic, Theology, Jurisprudence, and Purification of the Soul. Among the scholars he was blessed to learn from were Shaykh Fareed Azuz (Algeria), Shaykh Mustafa Turkmani (Syria), Shaykh Abdul-Halim al-Jazaâ€™iri (Algeria), Shaykh Murabit al-Hajj (Mauritania), and Shaykh Ibrahim Makana (Nigeria). 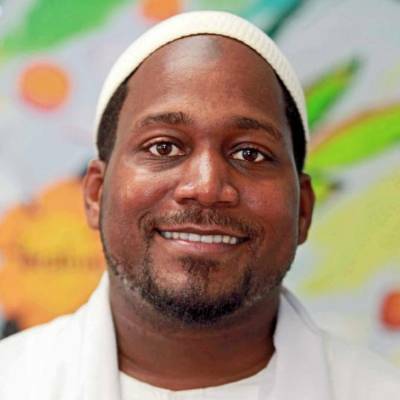 He also studied at Maâ€™had Abi Nour in Damascus, Syria, and has received licenses to teach (ijazat) from Shaykhs Uthman al-Imam an-Naijayri (Nigeria), Ibrahim Makana (Nigeria), Muhammad al-Yaâ€™qoubi (Syria), Muhammad an-Ninowy (Syria), and Khalil Abdur-Rashid (USA).